My cats live inside so they never get to climb trees or hunt (except during stink bug season). My cats live inside so they never get to climb trees or hunt (except during stink bug season). That means I'm always looking for fun, indoor ways to engage them. Lucy loves laser toys, while Radar prefers to chase more tangible objects. 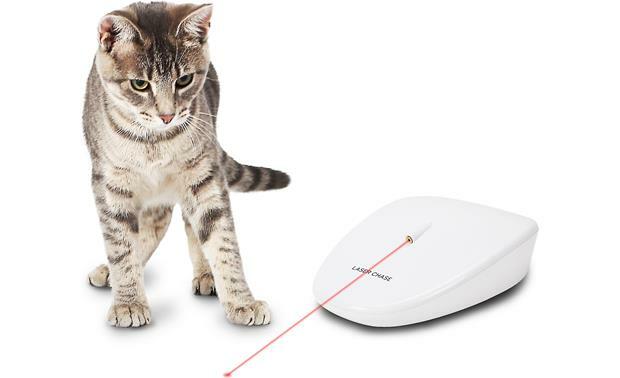 PetSafe's Laser Tail toy seemed like something that could entertain them both, so I was excited to test it out. Radar and Lucy were captivated. I turned it on with Radar nearby and his curiosity was definitely piqued. Lucy heard it, too, and came out of her hiding place to gaze raptly at it. I have to admit that it amused me, too. I mean — it's shaped like a giant mouse (not the animal, mind you, but the computer accessory). Someone at PetSafe has a sense of humor. We were all fascinated, watching it trundle around with the laser following behind it. 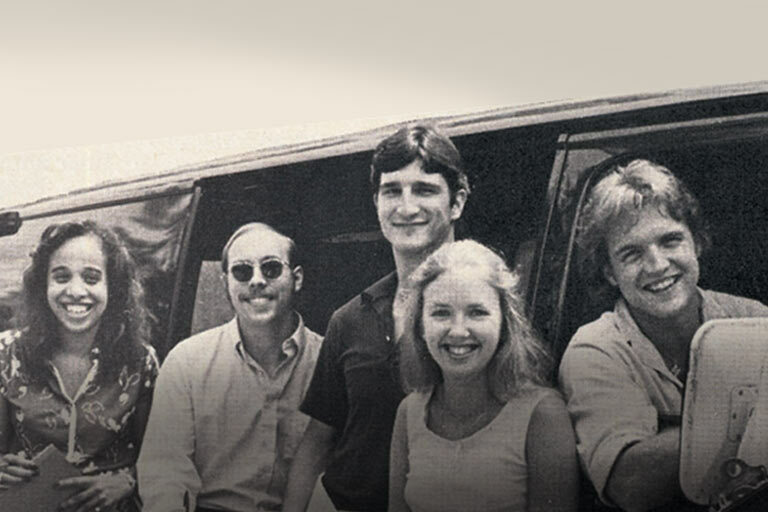 When it bumped into a wall, it righted itself and kept on going. 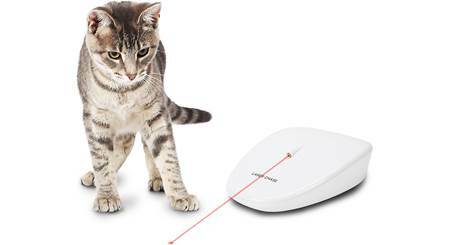 I should mention that PetSafe suggests using Laser Tail on a flat surface, and I would agree. My lumpy floor was definitely a suboptimal surface (it just made it a little noisier than my cats preferred). 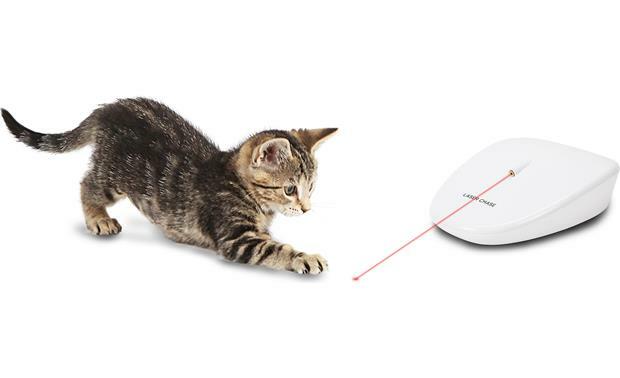 Overview: The PetSafe Laser Tail (PTY00-16453) is an automatic laser light toy that will entertain your pet for hours. The device moves freely around the room, projecting a red laser light onto the floor ahead of its random path. Each play session lasts for 10 minutes before it automatically turns itself off. Laser Tail is powered by three AA alkaline batteries (not included). The device is approximately 5-3/4" wide, 2-3/16" high, and 7-1/8" deep, and weighs 9.1 ounces (11.6 oz. with batteries). Action: Laser Tail has two rear drive wheels and one 360° swiveling front wheel. When turned on, the drive wheels move the device randomly in short spurts, either forward, backward, or in a spinning motion. The swiveling front wheel adds to the erratic nature of the movements. 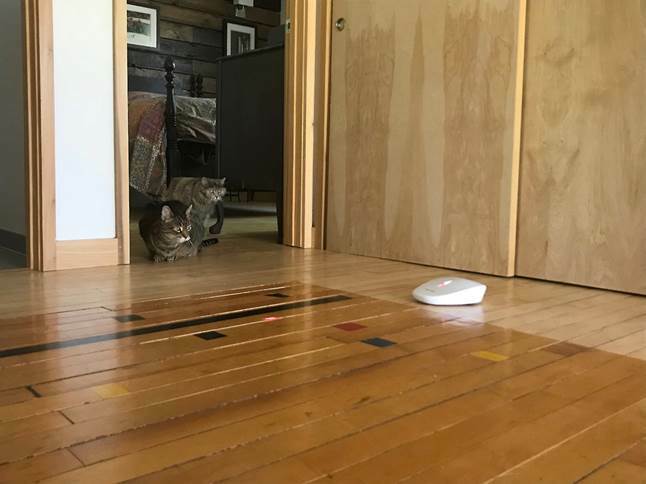 With its random movements, Laser Tail not only attracts the attention of your pet, it can also free itself from corners or underneath furniture. 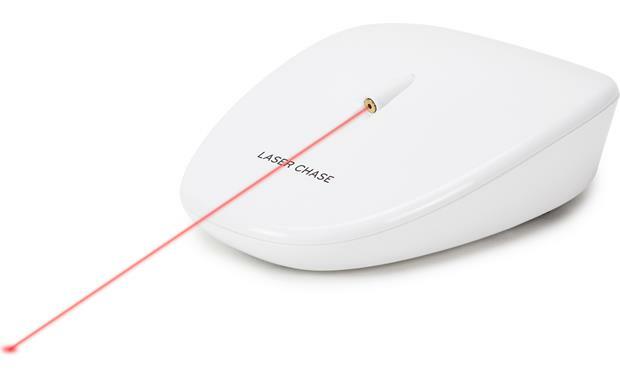 Laser: Laser Tail has a single laser emitter that projects a red beam onto the floor approximately 1 foot ahead of the device. The unit has a push button power switch on the bottom. If you wish to end the session before the 10 minute session is up, pressing the power button will turn it off. 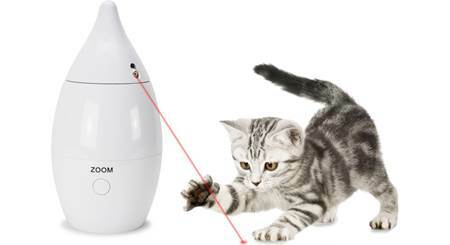 Advisory: Because laser radiation is emitted from this device, Laser Tail is not intended for children. You should avoid direct eye exposure in humans and pets. 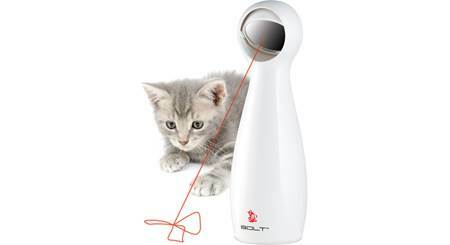 Searches related to the PetSafe Laser Tail Cat Toy Interactive laser cat toy.